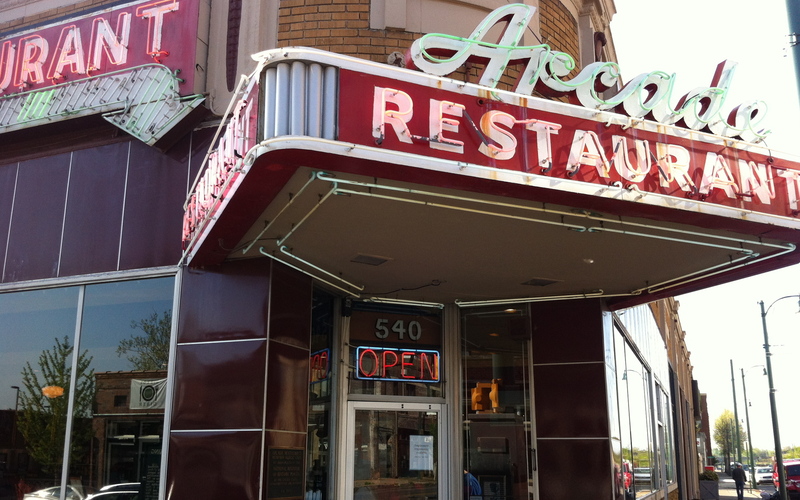 Founded in 1919, the atmospheric Arcade is the oldest continually operating cafe in Memphis. Born of Greek immigrants – of course – the diner has weathered the precipitous decline of downtown and lived to see its rebirth, becoming an identifiable location in a dozen or so films as well as a magnet for tourists drawn by the mix of comfort food and retro 1950’s design. 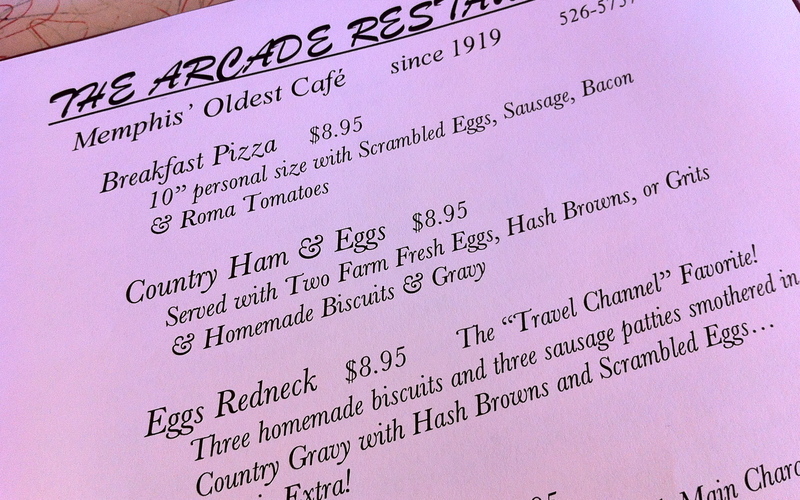 The Arcade serves through lunch but to be honest, it’s breakfast that’s the star attraction – unless you’re looking for a grilled peanut butter and banana sandwich in the back booth once frequented by Elvis. (in which case, prepare to wait.) Redneck Eggs achieved infamy in a Travel Channel program where the host scarfed down the plate of three biscuits and sausage patties smothered in gravy and topped with hash browns and scrambled eggs with a beer. 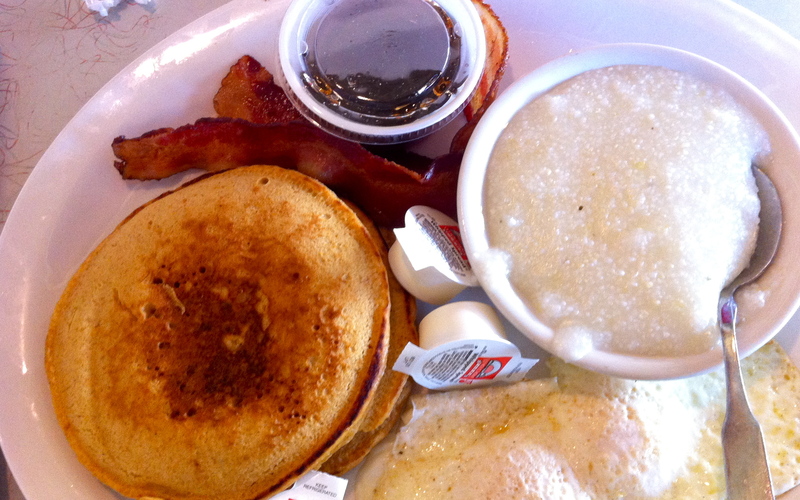 I opt for the more demure sweet potato pancakes instead – which come with grits, bacon, and two fried eggs – and am not disappointed. What is it about the south and what they are able to do with the sweet potato? This is my second day here and my second sweet potato discovery. Keep ’em coming.